CIO Infrastructure Management Tool Kit Updated - CIOs wear many hats. . . from IT pro, project manager, and vendor relationship manager to budgetary accountant, human resource expert, psychologist, and career counselor. How comfortable are you with juggling these responsibilities? To make sure that you have all the resources needed for all these roles, your peers have developed effective, field-proven tools and templates for every task you manage. These time-saving resources, and proven peer advice, have been collected in Janco's CIO Infrastructure Management Toolkit. In many enterprises, CIOs are perceived as mere technology managers, while in reality they should be viewed as business leaders. The CIO's focus should be on reducing costs and improving profitability through the strategic usage of IT. It is very important for the Information Technology organization to get out of a transactional mode. If the CIO has the right infrastructure in place, then the CIO can help in directing the strategy of the enterprise, and even shape its destiny. The CIO brings his own perspective, and without IT, you cannot build a robust and business. 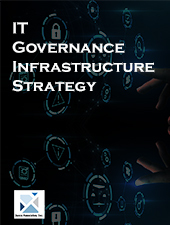 The CIO Infrastructure Management Tool Kit is comprised of a collection of Janco products that CIOs and IT Managers can use to create a strategy and manage in the ever changing business environment. The CIO Infrastructure Management Tool Kit versions each contain some of essential tools that your enterprise needs as it creates budgets and sets priorities. The bundles include the IT Infrastructure, Strategy and Charter Template, Janco's latest IT salary data, the Business Impact and Application Questionnaire, Service Level Policy Template with sample metrics, Functional Specification Template, and the Practical Guide for IT Outsourcing. The bundle comes in three versions - Standard, Silver and Gold. You save between $650 to almost $1,250 based on the version you purchase. The table below lists the contents of each version. You can just click the button below to get directly to our order page. In addition each version also has an update service which is available at a significant discount. If you purchase the update service at the same time as you purchase the CIO Infrastructure Tool Kit we will add an additional 24 months of update service - a full 36 months. All you have to do is reply to the sale confirmation with the words 24 months in the subject and it will be added automatically.